With the World Cup 2019 just around the corner and a few spots still left in the taking in the senior squads, the India A and England Lions series holds extreme value to several fringe players who hope to catapult themselves into the national reckoning with less than half a year remaining. While both teams look well balanced on paper, the nature of the Thiruvananthapuram pitch slightly is on the slower side, favouring the spinners and possibly the home side, India. With the first unofficial ODI set to take place on Wednesday, here are few tips to get you accustomed with. Dom Bess, Sam Billings(C), Danny Briggs, Matt Carter, Zak Chappell, Joe Clarke, Alex Davies, Ben Duckett, Lewis Gregory, Sam Hai , Tom Kohler-Cadmore, Saqib Mahmood, Jamie Overton, Ollie Pope and Jamie Porter. Ajinkya Rahane (C), Anmolpreet Singh, Rituraj Gaekwad, Shreyas Iyer, Hanuma Vihari, Ankit Bawne, Ishan Kishan, Krunal Pandya, Axar Patel, Mayank Markande, Jayant Yadav, Siddarth Kaul, Shardul Thakur, Deepak Chahar, Navdeep Saini. Ben Duckett and Sam Billings are in the England Lions side, both of whom would be looking for good outcomes from the series. With spin destined to play a part in the match, England should go in with both Danny Briggs and Dominic Bess with Lewis Gregory and Jamie Porter leading the pace attack. Possible XI: Cadmore, Duckett, Hain, Davies(C&WK), Clarke, Billings, Gregory, Briggs, Bess, Mahmood and Porter. Ajinka Rahane leads the side for the first three ODIs and would be hopeful of sealing the backup opener spot that has been vacated as of now by KL Rahul. Axar Patel and Krunal Pandya, both of who are in national reckoning, will provide the much-needed balance in the team with the likes of Deepak Chahar and Shardul Thakur able in providing a few runs just in case. Hanuma Vihari, who had a tremendous last year, should suffice with a place on the bench for this one. Possible XI: Rahane(C), Anmolpreet, Iyer, Bawne, Kishan(WK), Krunal, Axar, Chahar, Thakur, Kaul, and Markande. Wicket-keeper: Alex Davies has been a consistent performer for the Lions over the past year or so and should have enough experience to counter the conditions. Although Ishan Kishan isn't a bad option at all, Davies' ability to rotate the strike during the middle overs will be crucial to the Lions fortunes. Batsmen: Ajinkya Rahane and Shreyas Iyer are the two Indians upon whom the bulk of the responsibility lies with both internationals capable of scoring big. Both of them along with incumbent opener, Kohler-Cadmore should be in your fantasy sides. Either of Sam Hain or Joe Clarke would also be useful in terms of the balance of the fantasy side. All-rounders: Axar Patel and Lewis Gregory are the two all-rounders who should be preferred with their incisive bowling and their ability to finish games towards the end. Both of them have been earmarked for the national team and with a telling performance here, they could have a shot at the World Cup 2019. Bowlers: Sid Kaul, Deepak Chahar, Jamie Porter, and Danny Briggs are the four bowlers you would want in your side. With the uncertainty of line-ups, these four bowlers are the only ones whose place in the side is a certainty and adding to that their bowling ability would also come into play while choosing your team. Deepak Chahar is one to watch out for at the start of the innings with his ability to swing the ball. Captain: Shreyas Iyer and Ajinkya Rahane are as of now the most wanted players in the fantasy team as captain although Sam Hain and Axar Patel could also have a telling effect on the proceedings. 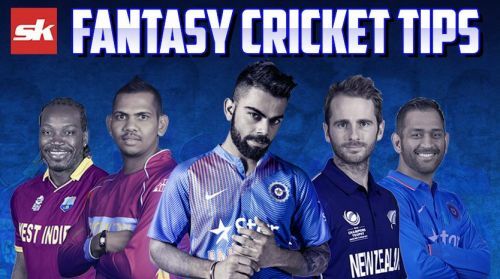 Fantasy Suggestion #1: Alex Davies(WK), Shreyas Iyer, Ajinkya Rahane, Joe Clarke, Tom Kohler-Cadmore, Lewis Gregory, Axar Patel, Danny Briggs, Deepak Chahar, Sid Kaul, and Jamie Porter. Captain: Shreyas Iyer. Fantasy Suggestion #2: Ishan Kishan(WK), Shreyas Iyer, Anmolpreet Singh, Sam Hain, Tom Kohler-Cadmore, Axar Patel, Lewis Gregory, Sid Kaul, Shardul Thakur, Jamie Porter, and Saqib Mahmood. Captain: Axar Patel.